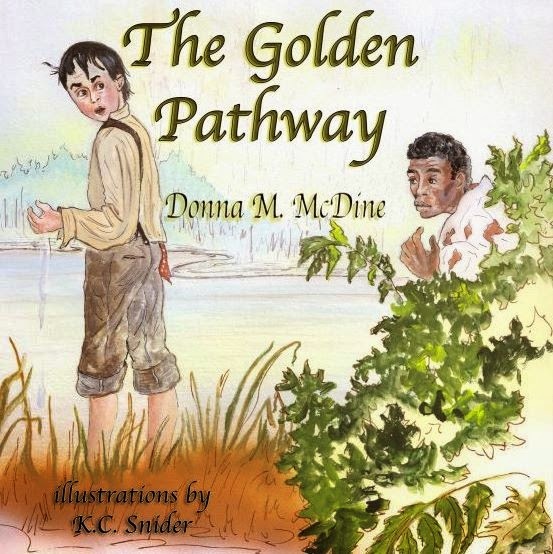 As with Ms. McDine's story Powder Monkey, my 9 year-old son and I read The Golden Pathway in one sitting, drawn into the story from the very first page. The bravery and kindness displayed by David is remarkable and I was happy to find the main character doing what he felt was right in such a horrible situation and being such an inspiring example for my son. We had quite the conversation when the story was over, discussing the difference between doing what your parents tell you (which is what my son has been taught) and doing what is right when a parent just so happens to be doing something very bad. I always enjoy when a book prompts these sorts of discussion and between this and the discussion of slavery we spent a while talking about David and Jenkins and their journey as well as the historic context of slavery, the underground railroad, etc. I enjoyed the illustrations very much and found that they very accurately depict the high emotion and drama going on in the story. The colors are bright and draw the eye to them, and having a picture on every other page makes for a visual adventure as much as the story lead us on a written one. After finishing this story as well as Powder Monkey my son's biggest complaint was that they were both very sad and, at times, scary (he did not like hearing about the slaves or David getting beaten!). While we talked about the fact that many aspects of life and history are not happy I think in the future I will intersperse heavy stories such as these with some more light-hearted fare. Even so, we both enjoyed the story and I especially enjoyed the long discussions that came after! I enjoyed it, although given the tension running throughout the short story I would probably have preferred a more anxious picture...maybe David whispering the Jenkins with a shadow cast over them! 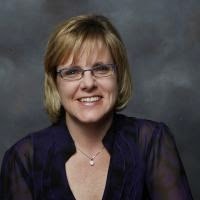 Thank you to Amy at Historical Fiction Virtual Book Tours for providing me with a free copy of The Golden Pathway in exchange for an honest review! Be sure to continue below for more information about the author and the book tour. 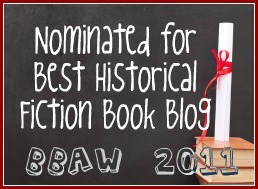 Favorite 2012 International Book Awards Honorable Mention, Global eBook Awards Finalist Children’s Picture Book Fiction, and Preditors & Editors Readers Poll 2010 Top Ten Children’s Books. Thank you for your thorough review of The Golden Pathway. I especially appreciate you including your son's thoughts. Makes the review more thought provoking. Hello Donna! I posted my review to Goodreads and Amazon yesterday :). Have a wonderful day!